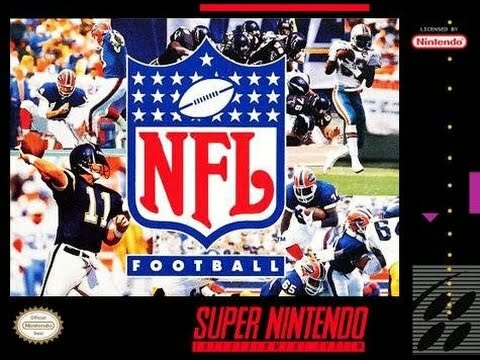 NFL Football for Super Nintendo allows you to play with any of the 28 NFL teams. When you hit the field, there are two playbooks to choose from: a standard NFL playbook and one suited to your team's specific style. Once you call the play, try to burst through the line with dives, spins, high steps, and stiff arms. While playing, stunning Mode-7 graphics allows the camera to pan and zoom to get the best view of the action.